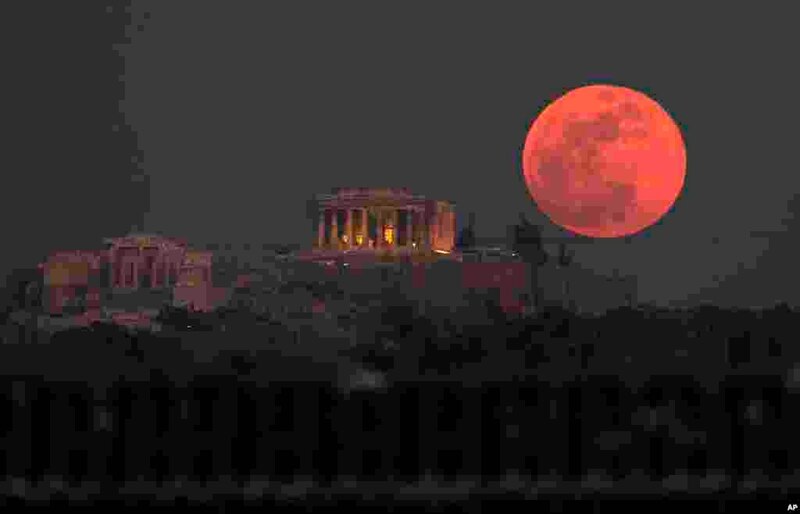 1 A super blue blood moon rises behind the 2,500-year-old Parthenon temple on the Acropolis of Athens, Greece. 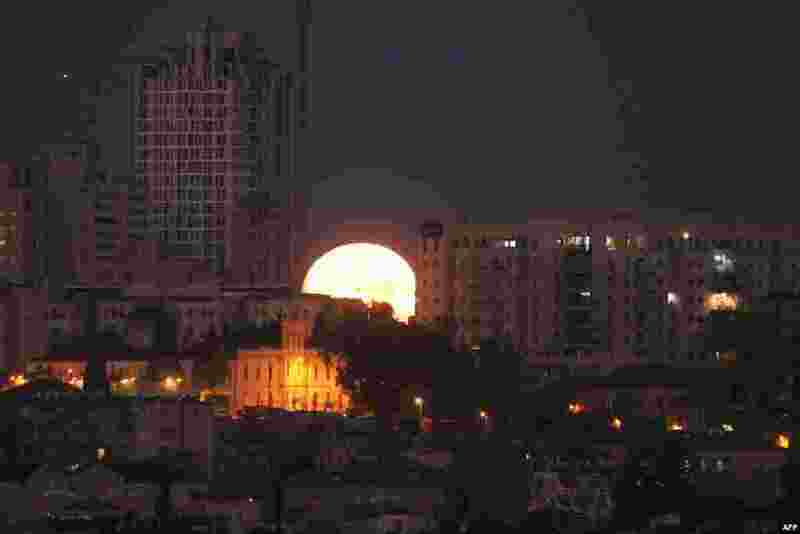 2 The moon sets behind the city of Jerusalem. 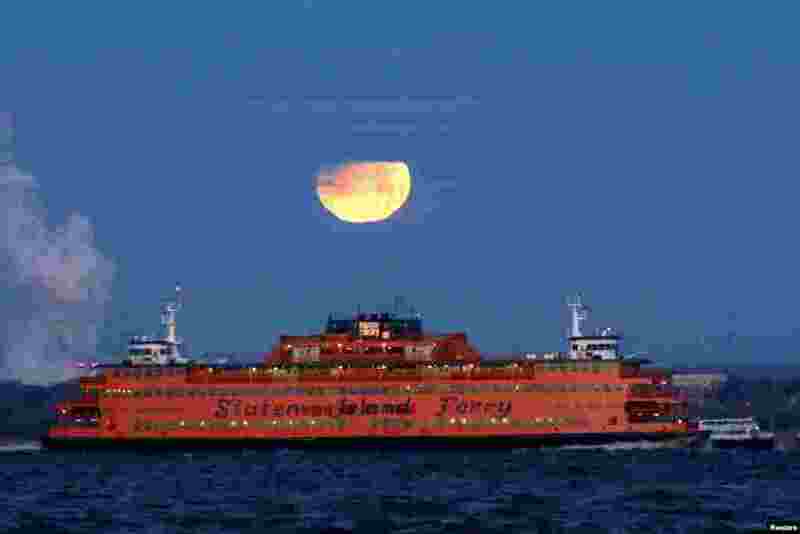 3 The "Super Blue Blood Moon" sets behind the Staten Island Ferry, seen from Brooklyn, New York. 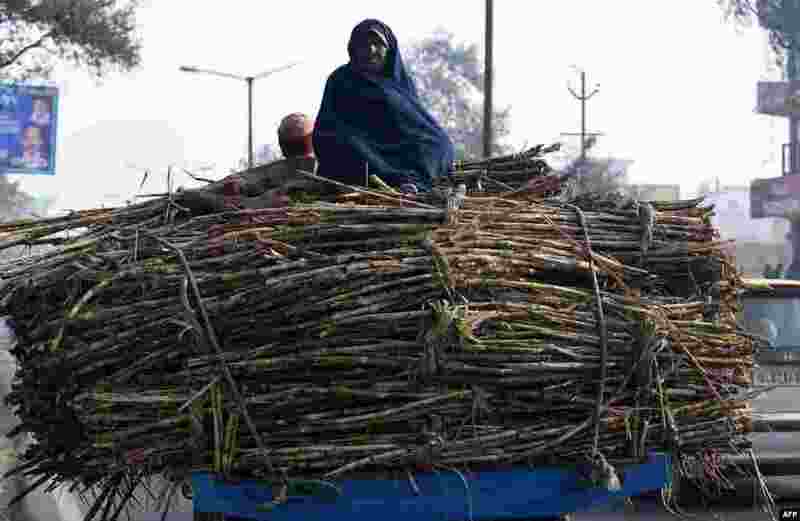 4 An Indian farmer sits atop bundles of sugarcane on a cart in Modinagar in Ghaziabad, some 45km east of New Delhi.